Sabvest, a JSE-listed investment group, has announced that it has acquired a 30% stake in digital asset management platform Revix. Revix uses proprietary bundling technology and smart portfolio management software to make it safe and simple to invest over the long term in a diversified basket of cryptocurrencies. 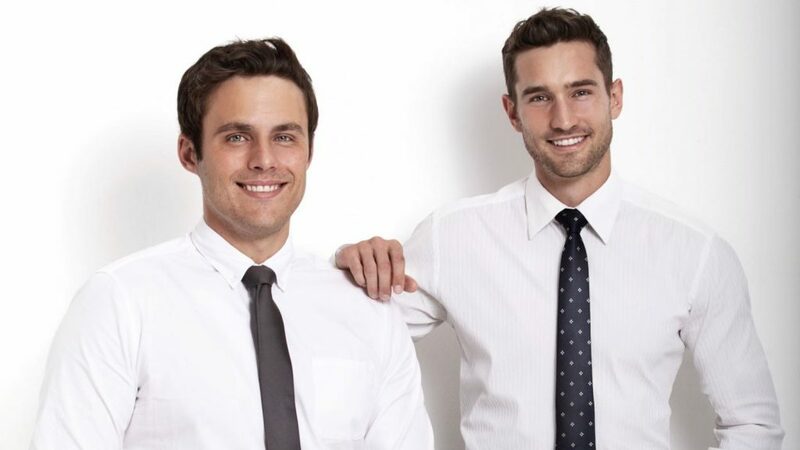 The UK-incorporated startup was founded last year by former Sabvest portfolio manager Sean Sanders (pictured above, right) and serial tech entrepreneur Louis Buys (pictured above, left). 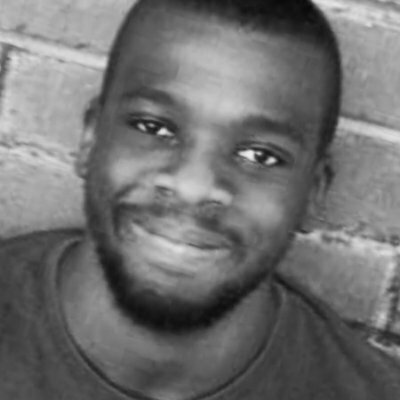 In February, the startup told Ventureburn it had secured a R11-million investment from a JSE-listed firm whose identity it did not disclose at the time. Sanders explained to Ventureburn today (16 April) that this was in fact the same deal as the one Sabvest announced earlier. “The deal has been ongoing for the last three months but was officially concluded last week. We had agreed to the commercial terms with Sabvest some time ago, but we had a lot of specifics which needed to be worked out such as preparing for the possibility of a hard Brexit,” he said. Sanders said Sabvest had invested more than €600 000. “But this investment was made across multiple currencies so the exact figure is in constant flux,” he added. The startup’s platform is now live, with Sanders adding that Revix has plans to expand into the UK and Europe in Q3. He added that the startup had targeted expansion to Australia and New Zealand in the first quarter of 2020. “Our expansion depends heavily on how cryptocurrency regulations evolve and how easily we can get regulated in various territories. Cryptocurrency, as an asset class, needs regulations for the asset class to thrive,” he said. In an earlier statement today (16 April), Revix said it will use the investment to refine the platform’s technology suite, launch the startup on the global stage and to educate investors about the benefits of a diversified exposure in cryptocurrencies within an investment platform. Commenting in a Sabvest statement earlier today (16 April), Sabvest CEO Chris Seabrooke said the investment group is excited to have the opportunity to back Buys and Sanders in the fast-evolving digital asset industry. “We believe their unique direct indexing enabled technology is able to facilitate more dynamic and efficient investing in this asset class internationally. 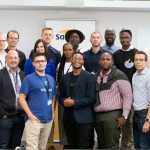 “Sabvest has invested in a number of technology-focused companies as part of its portfolio over the years and that has included a global leader in distributed ledger technology, on which blockchain is based,” added Seabrooke. Seabrooke, commenting in Revix’s statement, explained that for most investors looking to gain exposure to any asset class, it makes sense to hold a diversified basket of assets within a class. He added that Revic is applying the same principle to a “nascent and dynamic industry”. He said that the digital asset ecosystem has significant growth potential in our increasingly digitised world. Sanders pointed out that investors typically tend to be over-concentrated in Bitcoin, while no one can predict which cryptocurrencies will gain traction. “The time is right for a passive investment product, which is similar to an exchange traded fund, which is regularly rebalanced and comes with lower investment fees,” he added. Revix’s proprietary technology plugs into global exchanges, while a smart pricing algorithm seeks out the best available pricing for investors on reputable exchanges. The startup explained that its platform gives investors exposure to over 80% of the cryptocurrency market through a portfolio or “bundle” of the top 10 cryptocurrencies. Investors on the platform can invest from as little as R500. The startup claims the four bundles it offers have each outperformed an investment in Bitcoin alone on an annualised basis over the last three years. Buys said the platform’s bundles are aimed at investors who are interested in cryptocurrencies, but don’t have the time or inclination to research every opportunity, work out the technicalities of investing, or properly understand the challenges of holding their own crypto assets. “Typically, by connecting with global, liquid markets and using technology, we can get better prices than what has otherwise been available to local investors,” said Buys.